Kent Thiry is the 2011 recipient of the Invisible Disabilities Association Healthcare Honors Award. Kent has been chosen based upon his desire and passion to provide leadership in healthcare awareness, education and dialysis services for all Americans impacted by kidney disease and Diabetes while serving as the Chairman and CEO of Davita. 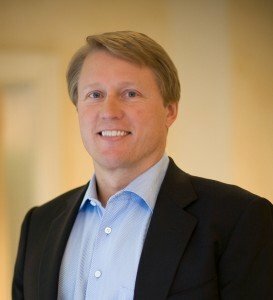 Kent Thiry is the Chairman and CEO of DaVita Inc. DaVita Inc. delivers dialysis services and education to patients with chronic kidney failure and end stage renal disease. As of June 30, 2011, DaVita operated or provided administrative services at more than 2,400 locations, serving approximately 131,000 patients. DaVita develops, participates in and donates to numerous programs dedicated to transforming communities and creating positive, sustainable change for children, families and our environment. The company’s leadership development initiatives and corporate social responsibility efforts have been recognized by Fortune, Modern Healthcare, Newsweek and WorldBlu, among others. DaVita serves approximately one in three dialysis patients in the U.S. In the 11 years since he became CEO, Total Renal Care, a once-ailing healthcare company on the brink of bankruptcy, transformed into DaVita, a $6.5 billion Fortune 500 industry leader recognized as one of the top healthcare companies to work for and provider of high-quality care for patients with chronic kidney disease and end stage renal disease in the U.S.
Kent was previously the chairman and CEO of Vivra Specialty Partners, a privately held health care services and technology firm. Vivra Specialty Partners primary business was to aggregate and manage specialty physician networks for national health insurers. Information technology assets were developed and used to educate physicians regarding best practice standards. Kent joined Vivra, a NYSE healthcare service company, as president in 1991. He was then appointed as CEO in 1992. Vivra was a provider of renal dialysis and other healthcare services and was acquired by Gambro, a European corporation, for $1.6 billion in cash in 1997. Prior to Vivra, Kent was associated with Bain & Company, first as a Consultant, and then served as Vice President of U.S. Health Care Consulting. Kent received a B.A. in Political Science with distinction and Phi Beta Kappa from Stanford University and an MBA with Honors from Harvard Business School. Best Places to Work in Colorado, Philadelphia, Nashville, Los Angeles and Pierce County, Wash.